Christmas themed clear stamps featuring a reindeer, a snowflake, Christmas lights, a church, and much more! Hero Arts rubber stamp featuring a woman with a cup of coffee. Hero Arts woodblock stamps offer long-lasting quality and precision in stamping. Each stamp features original designs. Our blocks originate from sustainably managed forests, and each is crafted from 100% natural rubber and is hand cut and assembled by us in the USA. 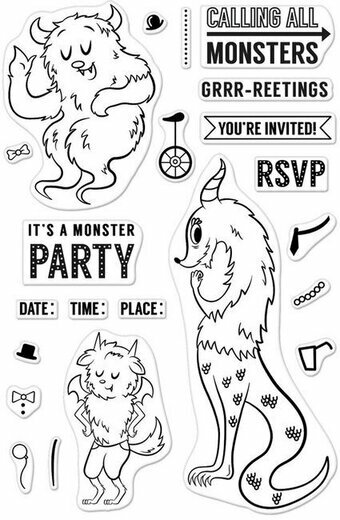 A monster of a birthday set, with the cutest little devils and assorted birthday and invitation messages. Hero Arts 4″x6″ clear stamp sets offer the best quality in the market. They are made in the USA from genuine photopolymer, which is non-toxic, biodegradable, and designed specifically to transfer ink to paper for a true impression every time. Peel off your stamp from its backing and stick to an acrylic block for easy positioning. Mix and match the designs, then clean with water or stamp cleaner. A clear set fit for a princess, from the BasicGrey Kneehighs collection. Includes "Once upon a", "Happily ever after", "Princess", a crown, and a mirror. Hero Arts and BasicGrey have merged their talents to bring you an exclusive line of coordinating stamps and paper. Hero Arts 4"x6" PolyClear sets are made in the USA from genuine photo-polymer for true impressions every time. They stamp like rubber and are easy to use, easy to clean, always cling and are non-toxic. Christmas themed rubber stamp featuring the word "Peace" with a Christmas Tree. Hero Arts woodblock stamps originate from sustainably managed forests. They are hand-cut and assembled in the USA. Each design is an imaginative original, and a lasting keepsake. Hero Arts wood mounted rubber stamp featuring the sentiments "love", "peace", "&", and "joy". Everything you need to make placecards for just about any event. Hero Arts clear design stamps peel off their backing and stick to acrylic blocks for easy positioning. Mix and match the designs, then easily store them for another time. Made by us in the USA from genuine photopolymer. Unmatched quality means a crisp impression every time. This is a sketched image of a pencil that asks you to sign and return. Great for teachers. Hero Arts wood mounted rubber stamp featuring a Plus Sign. Hero Arts woodblock stamps originate from sustainably managed forests. They are hand-cut and assembled by Hero Arts in the USA. Each design is an imaginative original, and a lasting keepsake. Christmas themed Hero Arts stamps featuring Polar Bears. Hero Arts clear stamps offer the best quality in the market. They are made in the USA from genuine photopolymer, which is non-toxic, biodegradable, and designed specifically to transfer ink to paper for a true impression every time. Peel off your stamp from its backing and stick to an acrylic block for easy positioning. Mix and match the designs, then clean with water or stamp cleaner. A background of elegant poppies. Hero Arts Clings are repositionable stamps, made from the same deep-etched rubber that you've come to expect from Hero Arts. They've perfected the static cling to provide a beautiful stamped impression every time. Individual stamps are 1/4" x 1/4". 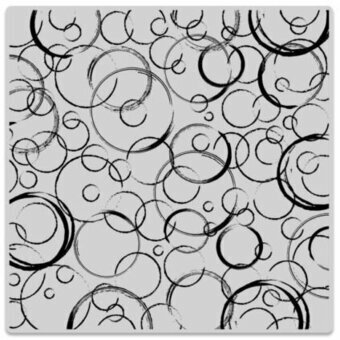 A pattern of rough and imperfect circles (somewhat evocative of coffee spills). Hero Arts cling stamps are deeply etched from top quality rubber for a lifetime of use. They cling to acrylic blocks and have a full-sized indexed label for precise and easy placement. Take a trip on Route 66. Our new Poetic Prints 4-block set features some of the highlights along this historic US route. Wherever you're traveling, we've got the stamps for you. Use our Destination stamps to document your journeys in style. They're also perfect for armchair travelers and collectors alike. Hero Arts woodblock stamp sets are designed and packaged for stamping perfection. They are mounted on North American maple from sustainable forests for precision and long-lasting quality. Each set features original designs from our award-winning design team that matches the styles and trends of the day. Features the Christmas sentiment "Season's Greetings". Hero Arts woodblock stamps offer long-lasting quality and precision in stamping. Each stamp features original designs. Our blocks originate from sustainably managed forests, and each is crafted from 100% natural rubber and is hand cut and assembled by us in the USA. Christmas themed Hero Arts stamps featuring skiers on a snow covered mountain. Hero Arts clear stamps offer the best quality in the market. They are made in the USA from genuine photopolymer, which is non-toxic, biodegradable, and designed specifically to transfer ink to paper for a true impression every time. Peel off your stamp from its backing and stick to an acrylic block for easy positioning. Mix and match the designs, then clean with water or stamp cleaner. Cling stamp from Hero Arts featuring snakes! Measuring 6" x 6", Bold Prints background cling stamps are large enough to fully cover an A2 card, and can be rotated for use in any direction. Handmade in the USA, they cling to an acrylic block, clean with water or stamp cleaner, and store easily when not in use. Artist's tip: Use without a block! Place rubber face up, apply ink to the design, and then press your paper to the inked rubber. Hero Arts rubber stamp featuring a plant in a pot. Hero Arts woodblock stamps originate from sustainably managed forests. They are hand cut and assembled with care in the USA. Each design is an imaginative original, and each stamp is a lasting keepsake. Valentine themed Hero Arts stamp featuring the sentiment "smitten" and a heart. Halloween themed clear stamps featuring a haunted house, poison, a pumpkin, "Boo", "Spooky", and "Halloween". Our clear design stamps peel off their backing and stick to acrylic blocks for easy positioning. Mix and match the designs, then easily store them for another time. Made by us in the USA from genuine photopolymer. Unmatched quality means a crisp impression every time. Clear stamps from Hero Arts featuring cactus plants, "I'm stuck on you", "Howdy", and "Hug me". Hero Arts clear design stamps peel off their backing and stick to acrylic blocks for easy positioning. Mix and match the designs, then easily store them for another time. Made by us in the USA from genuine photopolymer. Unmatched quality means a crisp impression every time. A graphic pattern of festive stars overlaying one another. Hero Arts woodblock stamps offer long-lasting quality and precision in stamping. Each stamp features original designs. Our blocks originate from sustainably managed forests, and each is crafted from 100% natural rubber and is hand cut and assembled by us in the USA. 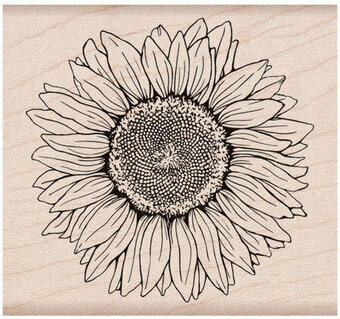 Hero Arts wood mounted stamp featuring a sunflower. Hero Arts woodblock stamps offer long-lasting quality and precision in stamping. Each stamp features original designs. Our blocks originate from sustainably managed forests, and each is crafted from 100% natural rubber and is hand cut and assembled by us in the USA. Alphabet themed Hero Arts wood mounted rubber stamp featuring an uppercase letter "p". Hero Arts woodblock stamps originate from sustainably managed forests. They are hand-cut and assembled by Hero Arts in the USA. Each design is an imaginative original, and a lasting keepsake. The Adventure Begins is a collection of outdoorsy images and words to create inspired cards and crafts. Our Clear Design Stamps peel off their backing and stick to acrylic blocks for easy positioning. Mix and match the designs, then easily store them for another time. Made by Hero Arts in the USA from genuine photopolymer. Unmatched quality means a crisp impression every time. Clear stamp set from Hero Arts and Basic Grey featuring the sentiments "Hello Friend", "Adventure", and "The Good Stuff". Create stylized dimension with this stamp layering offering. Stamp the artwork multiple times and then cut out different layers in the artwork with the coordinating frame cuts. Put foam tape in between the layers to create a fabulous three-dimensional look. Coordinates with DI413 The Holly and Ivy Frame Cuts. A set of 28 tiny alphabet stamps with uppercase letters. Each woodblock measure 1/4" square by 1 1/2" high. Each stamp comes on its own easy-to-use wooden handle. Our woodblock stamps originate from sustainably managed forests. Each design is an imaginative original, and each stamp is a lasting keepsake. 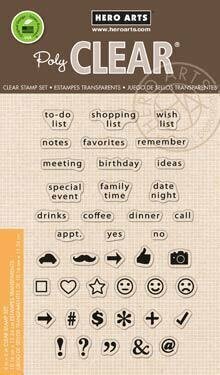 Clear stamps from Hero Arts featuring stamps for "To Do List", "Shopping List", "Wish List", "Notes", "Favorites", "Remember", "Meeting", "Birthday", "Special Event", "Family Time", and more. Hero Arts clear design stamps peel off their backing and stick to acrylic blocks for easy positioning. Mix and match the designs, then easily store them for another time. Made by us in the USA from genuine photopolymer. Unmatched quality means a crisp impression every time. 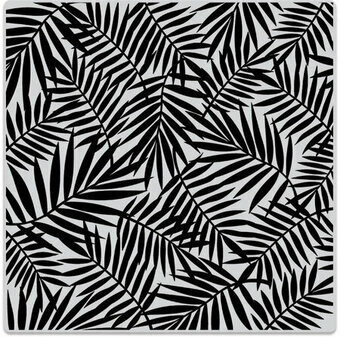 Lush palm leaves intertwine for a multi-use natural background. Measuring 66″, Bold Prints background cling stamps are large enough to fully cover an A2 card, and can be rotated for use in any direction. Handmade in the USA, they cling to an acrylic block, clean with water or stamp cleaner, and store easily when not in use. Artist's tip: Use without a block! Place rubber face up, apply ink to the design, and then press the paper to the inked rubber. Valentine's Day themed clear stamps from Hero Arts featuring hearts, an arrow, "I Love You", "True Love", "Be Mine", "Amore" and "Love"
A set inspired by old-fashioned typewriter keys, it offers months, days and dates for customizing planners, calendars and journals. Our clear design stamps peel off their backing and stick to acrylic blocks for easy positioning. Mix and match the designs, then easily store them for another time. Made by us in the USA from genuine photopolymer. Unmatched quality means a crisp impression every time. Charming animals get cozy in a domestic setting. Coordinates with HA-DI372 Welcome Home Frame Cuts. Deer and birds frolic in the snow in this alpine winter scene. Our woodblock stamps are classic maple wood, 100% natural rubber, hand-cut and assembled with love and care in the USA.